Cardsharp had foxed Mark Johnston when showing great pace before Royal Ascot, but giving the colt an extra furlong paid dividends with victory in the oldest race for juveniles in the British calendar. Johnston had initially favoured the Coventry Stakes for the son of Lonhro, but had a rethink when he beat stablemate Rufus King in the Brian Yeardley Two Year Old Trophy at Beverley. 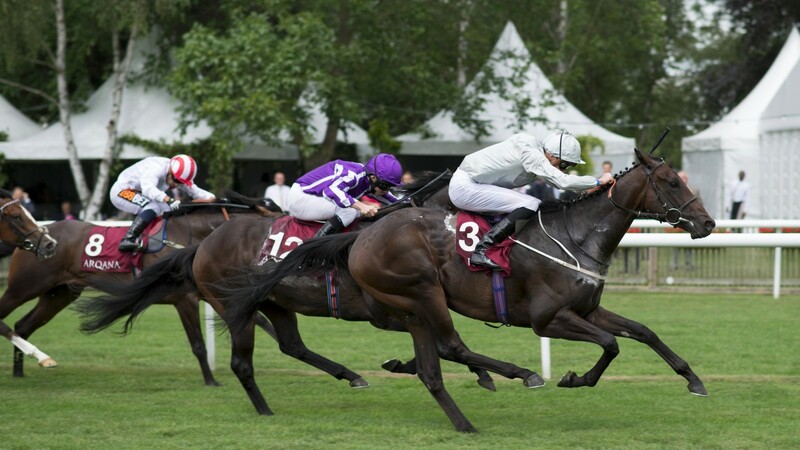 Cardsharp was then an excellent third in the Norfolk Stakes at Royal Ascot, but he seemed to relish this return to six furlongs, having finished runner-up in the Woodcote on his only previous attempt. "We have been chopping and changing the trip with him," Johnston said. "When we went to Beverley he showed so much speed. That's what made us go for the Norfolk as we were originally going for the Coventry." Cardsharp displayed good stamina in this performance, powering home to defeat U S Navy Flag by a length and three-quarters, and Johnston added: "We've seen today he was better for the six furlongs and he certainly wasn't stopping at the end. I wouldn't rule out seeing him over further later in the season." The winner was given a quote of 20-1 for the Commonwealth Cup by Paddy Power, but the 33-1 for the 2,000 Guineas offered by Coral appears the more realistic option. Experience came to the fore at the finish as, like the winner, runner-up U S Navy Flag was having his sixth start of the season, after breaking his maiden for Aidan O'Brien at the start of the month. Kevin Buckley, representing connections of the runner-up, said: "Ryan [Moore] said he got a good feel off him. He lost his off-fore shoe, which isn't an excuse it's just a fact of what happened. He only won his maiden 12 days ago so he's pretty durable and we'll have a look at options for him." Although Rajasinghe lost his unbeaten record in third, the Coventry Stakes hero performed commendably, staying on well for Stevie Donohoe. Trainer Richard Spencer was not downcast about the performance, and said: "Seven [furlongs] is going to be his game so it's not the end of the world. He's run well with a penalty and will be a better horse over further. The end game is a mile next year so we can't be disappointed."